Google quietly posted on Google+ that they added the ability to segment your paid and organic traffic by device type. 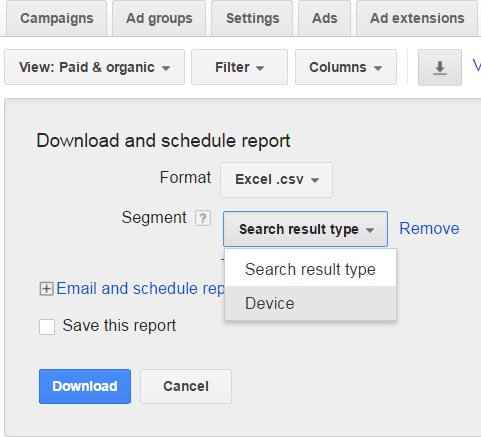 Google has added the ability to download this data from AdWords. There are many situations where a report like this can be helpful to search marketers. If you want more details on how to use this report, see the Google help area.